I fully embrace the farm-to-table movement wherever it is possible. Who doesn’t want to know where their food comes from? The problem is: I don’t have a farm. 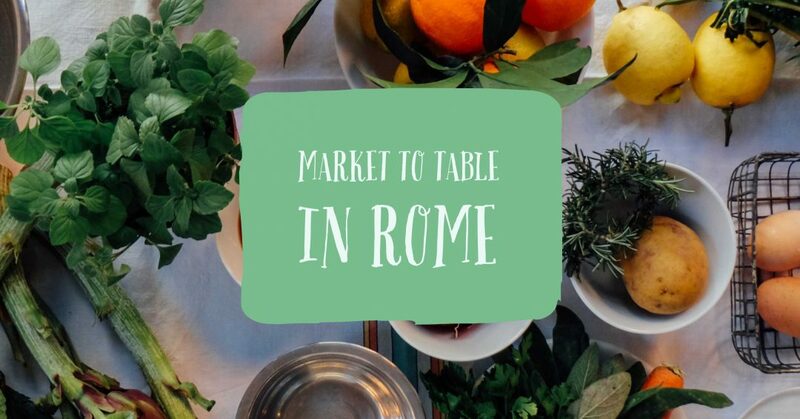 But I do have a local market, which is why I love the concept of a market to table cooking class in Rome. 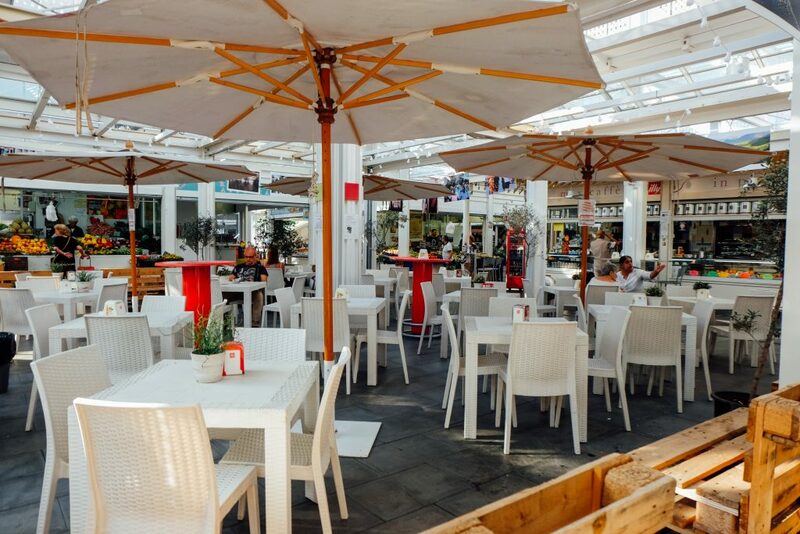 The class in question is held at Latteria Studio in Trastevere, but it begins at “my” market – Nuovo Mercato di Testaccio. 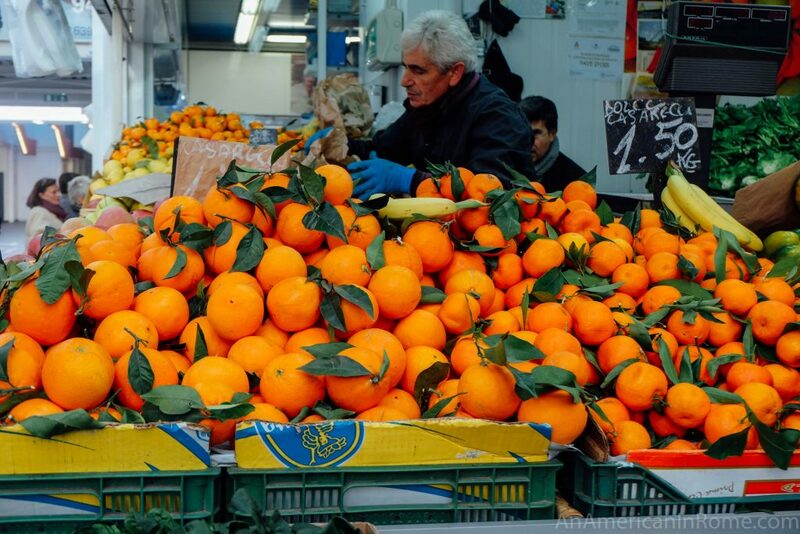 The Testaccio market is wonderful for many reasons. 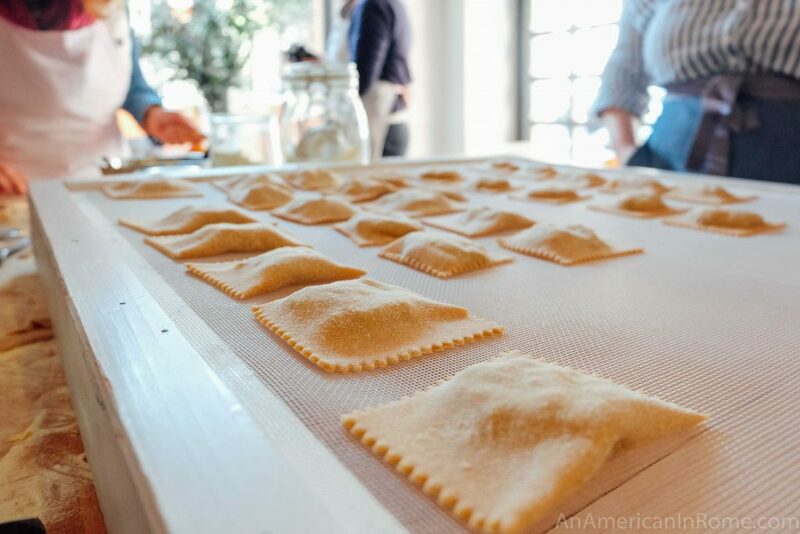 Sandwiches from Mordi e Vai, pasta from Le Mani in pasta, and pizzette from Artenio come to mind. 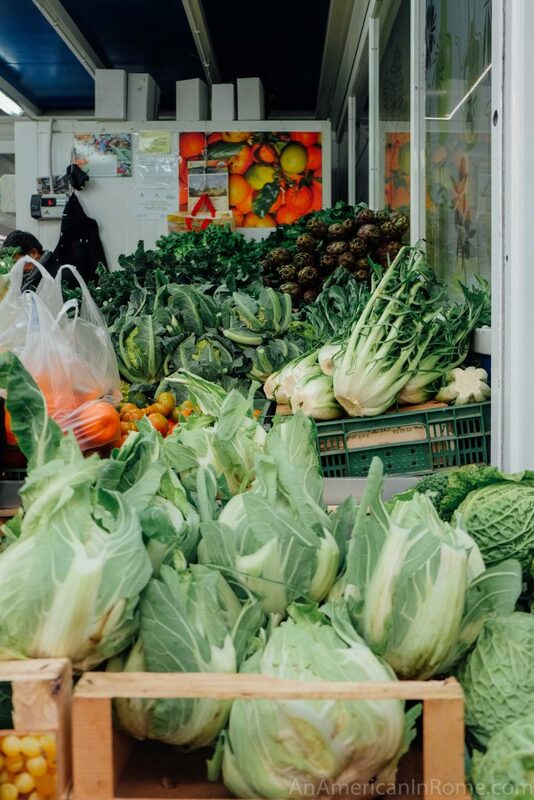 But aside from street food, the market is also home to one of Rome’s best butchers, beautiful cheese shops, and vendors selling fresh fruit and vegetables from the nearby countryside. 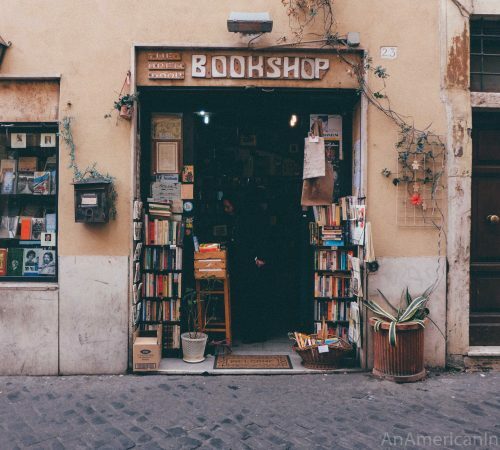 It is the kind of market that makes Rome a special place to live, and a delicious place to eat. 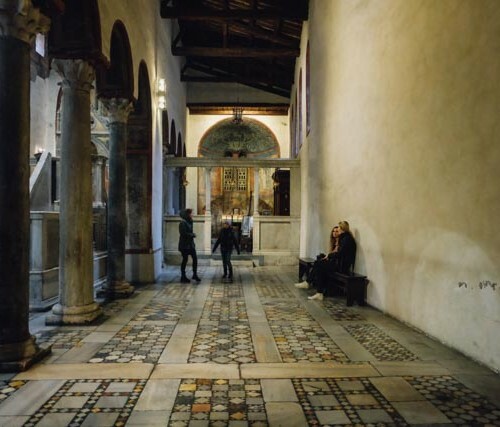 Farm to table is all well and good, but most Romans eat market to table. 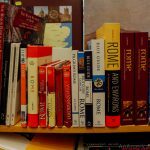 A Roman cooking class therefore requires you shop as the Romans do. 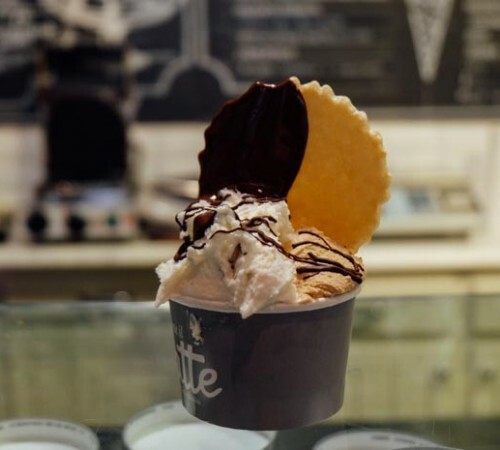 We met Alice and Rachel at the coffee bar in the center of the Testaccio market, to chat over a cappuccino and plan out the shopping list based on the menu they had in mind for the day. 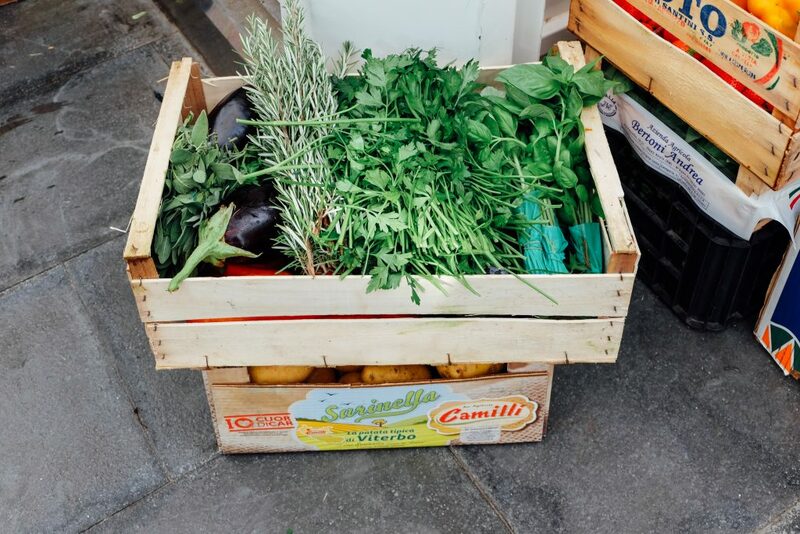 We started with the greenery, collecting enough artichokes for carciofi alla romana as well as some puntarelle for fun. 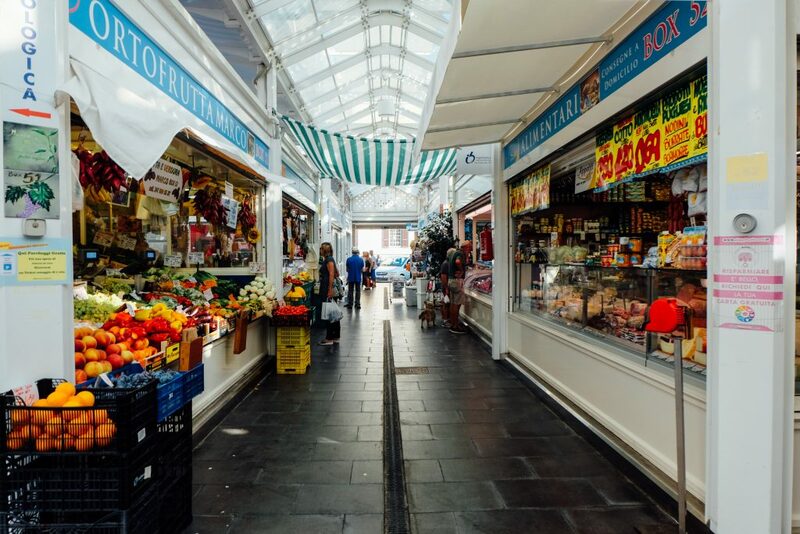 In a city where loyalty matters, Rachel took us directly to her stall in the market – where she also buys all the ingredients for her mouthwatering Guardian recipes. Alice stopped by Sartor to see the meat selection, and we all converged over cheese. 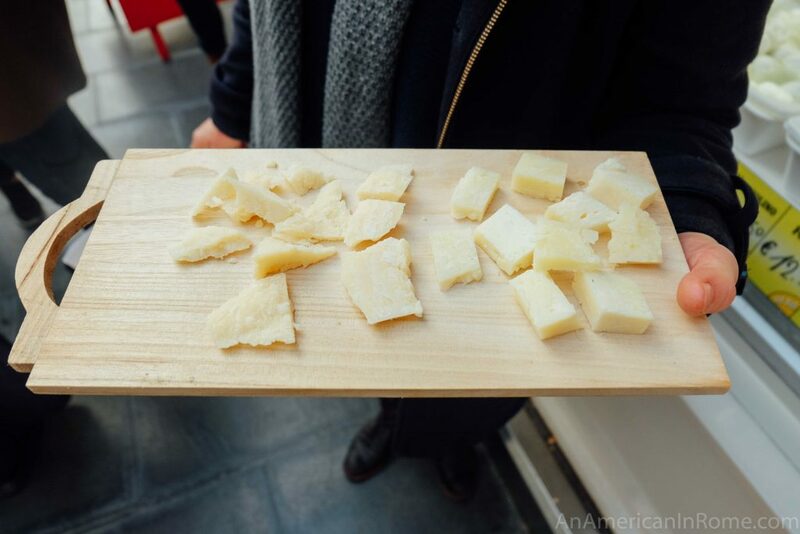 Shifting shopping bags, we sampled rich pecorino and parmigiano, chatting about why Rome’s pasta dishes were better suited to cacio. Adding a bit more cheese to the order, we walked out of the Testaccio Market and angled towards the food studio. Latteria studio is a special place. 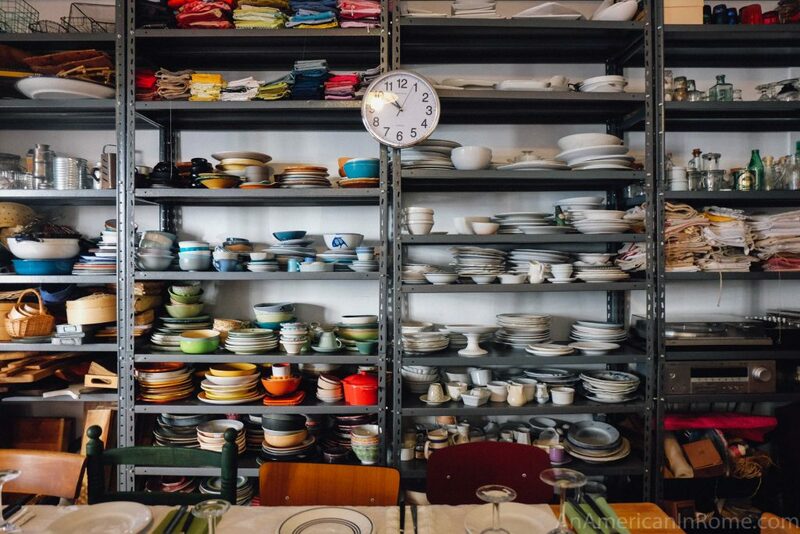 As soon as you walk through the doors, you will be struck by the shelves full of beautiful dishes and linens. The light flows through tall windows, and filters across marble table tops and jars filled with spices. It is a place I always want to settle in and stay. 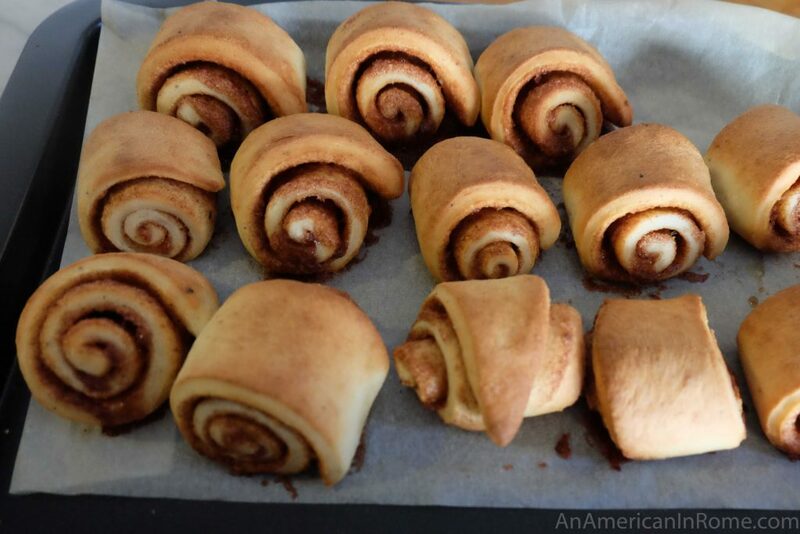 Double that urge when you open the door and Carla’s baked goods are waiting for you. With everything laid out before us, we got straight to work. 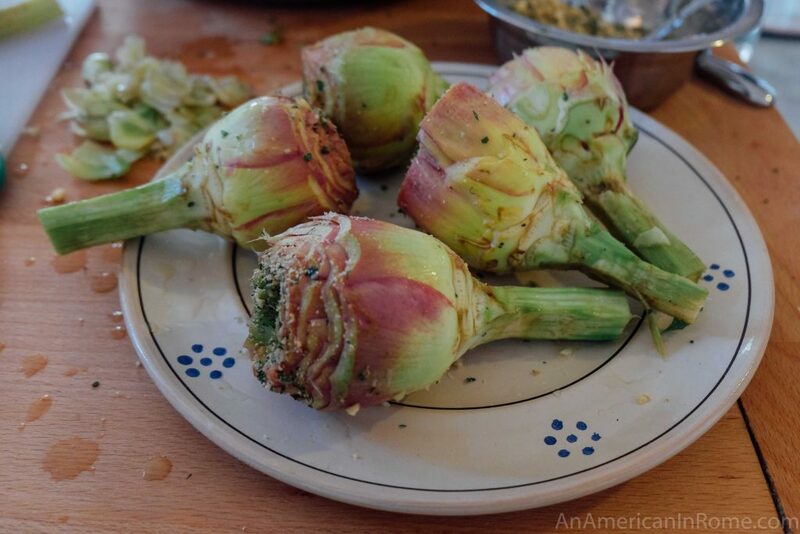 First, I butchered a few artichokes. 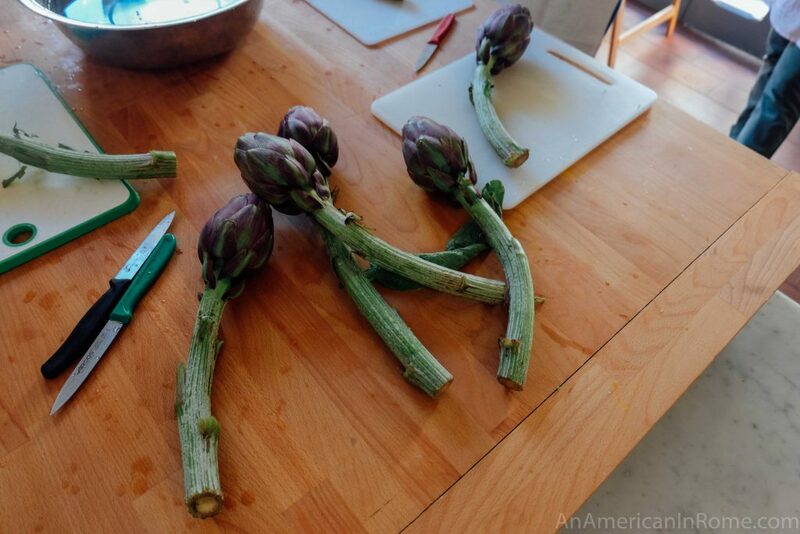 I will fully admit that I usually buy my artichokes already trimmed because there is a woman at the market who does it so well, and the mark up is only about 10 cents. Under Rachel’s tutelage, I dutifully (and slowly) scraped the knife around the globe to remove any small thorny edges. Perhaps not yet and expert, but I enjoyed trying! Carla’s mushrooms reduced on the stove while her dreamy focaccia emerged from the oven. No photos because I was too busy eating. 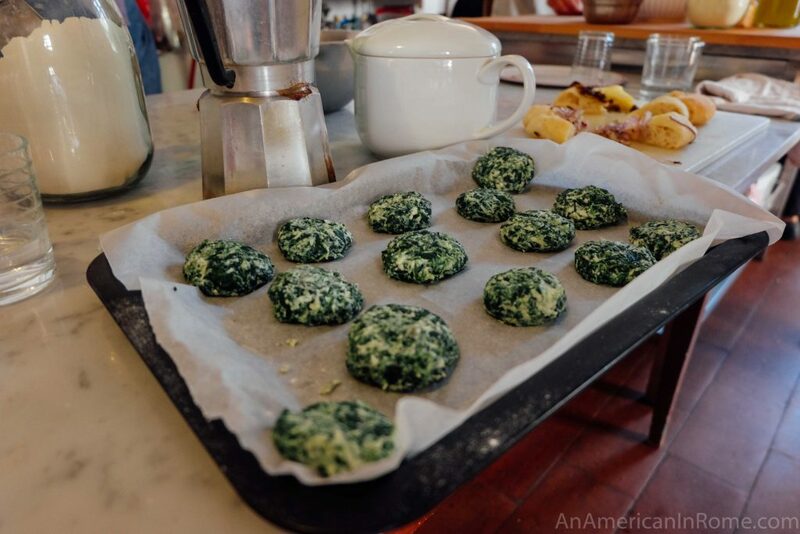 Next, we cooked down the spinach and mixed it with ricotta. The kitchen activity settled into an easy rhythm. Work here, cut this. Look here, know this. Talk. Get to know one another. 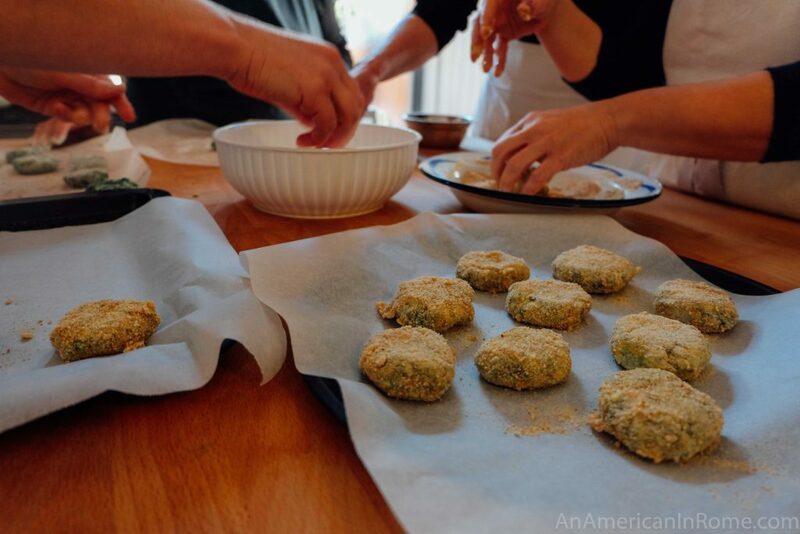 We breaded the polpette and talked about Roman cuisine. We shared our experiences with the changing city, and swapped tips on where to find the best ingredients. 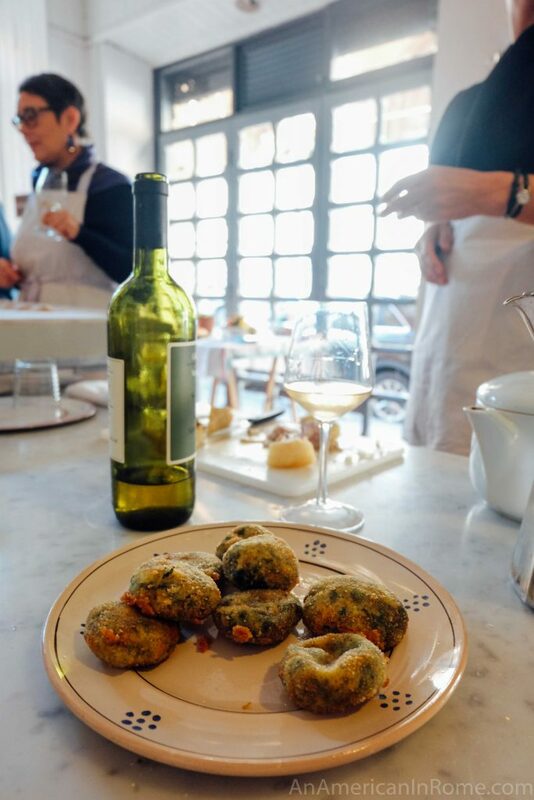 When the spinach and cheese polpette were fried, we opened the wine and had a snack before continuing on to the pasta production. Carla is a master pasta maker, and I stood back to observe in awe. 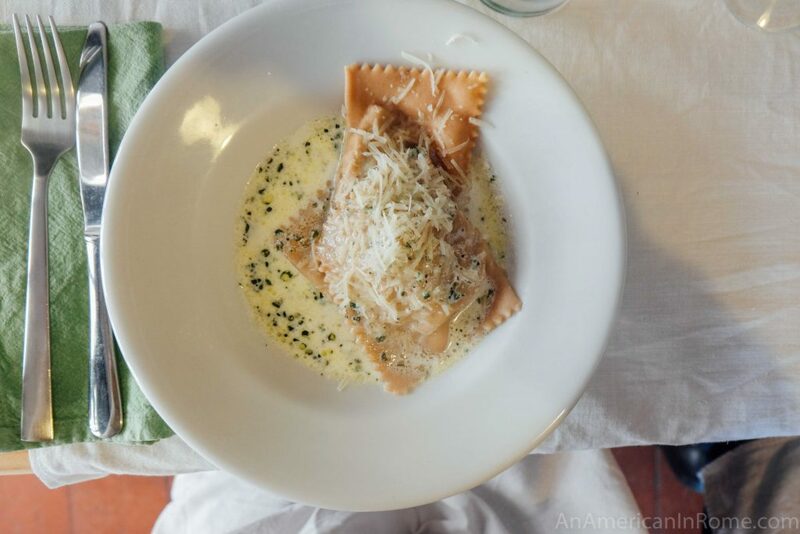 But I did slowly savor every bit of the mushroom ricotta chestnut flour ravioli when it was covered in a sage butter sauce. 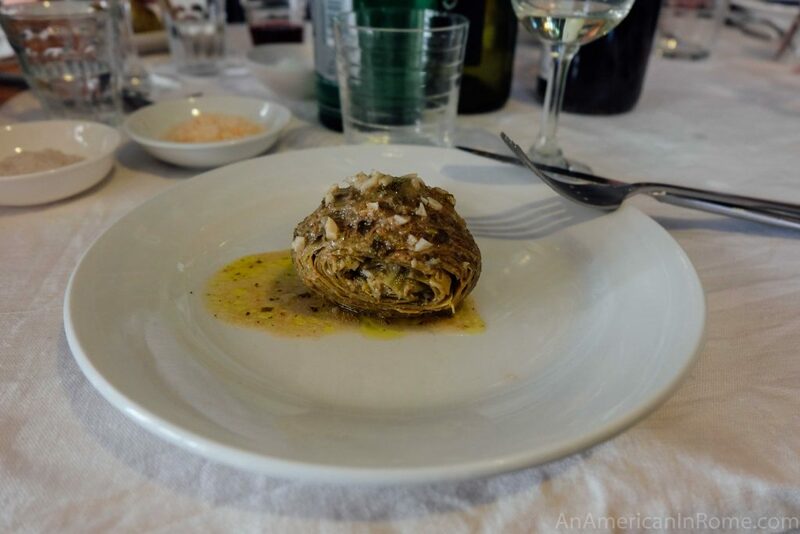 The artichokes were less pretty but delicious, with extra ingredient tricks courtesy of Alice’s mother-in-law. And of course there was still cake. 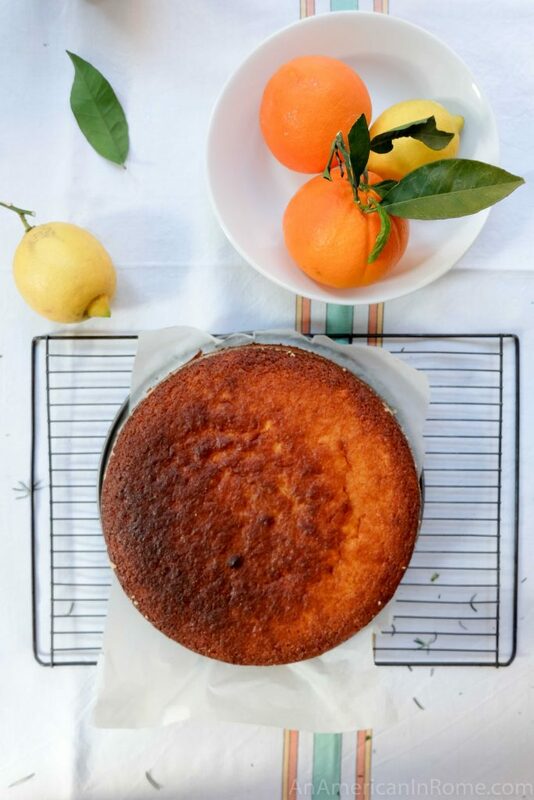 A whole orange, no flour, all almond cake from Rachel’s next cookbook. In many ways, Latteria Studio feels like coming home. It is like cooking with best friends. 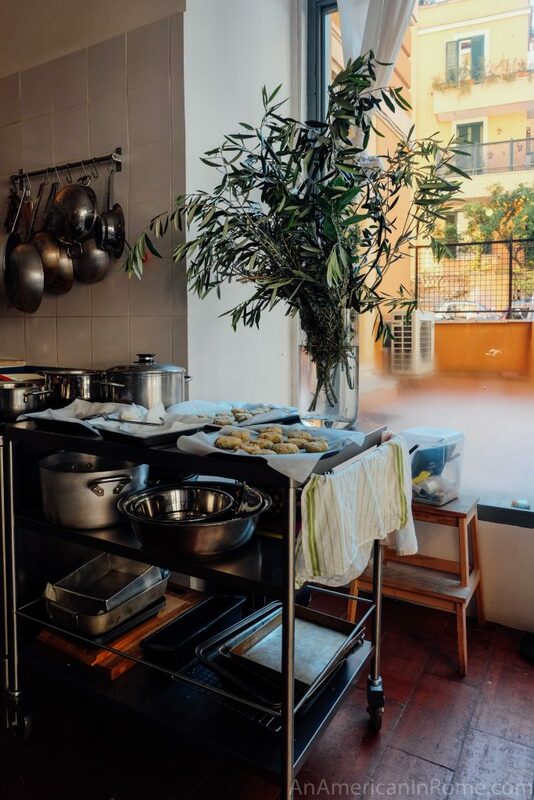 Rachel, Alice and Carla have create a course that takes you through the best parts of eating in Rome – the shopping, the leisurely but expert production, and the long table where you a meant to sit together and savor it all. 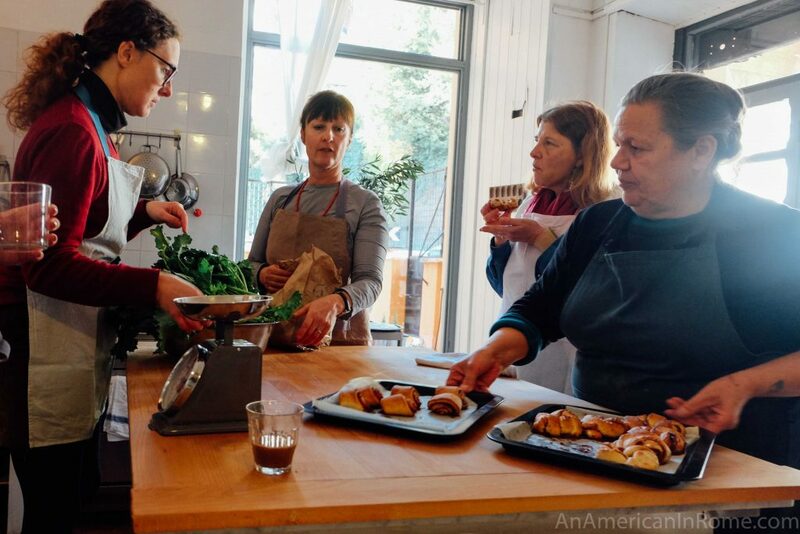 The Market to Table cooking classes are usually held on Fridays. You’re in luck because the next one is this week – 10 March. There is also a class later this month on March 17th. 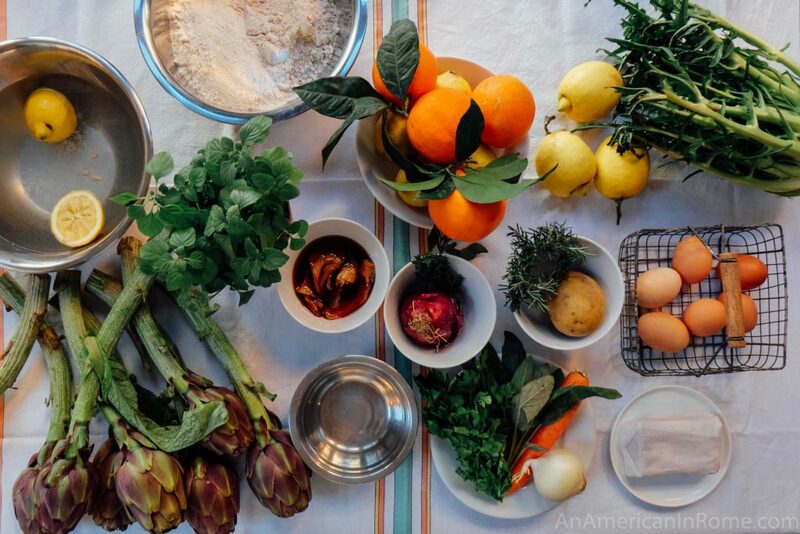 A full list of Market to Table cooking class dates is here. If Fridays don’t work for you, get a group together and email Alice (her contact is on the Market to Table page). She can help to arrange a private class as well. 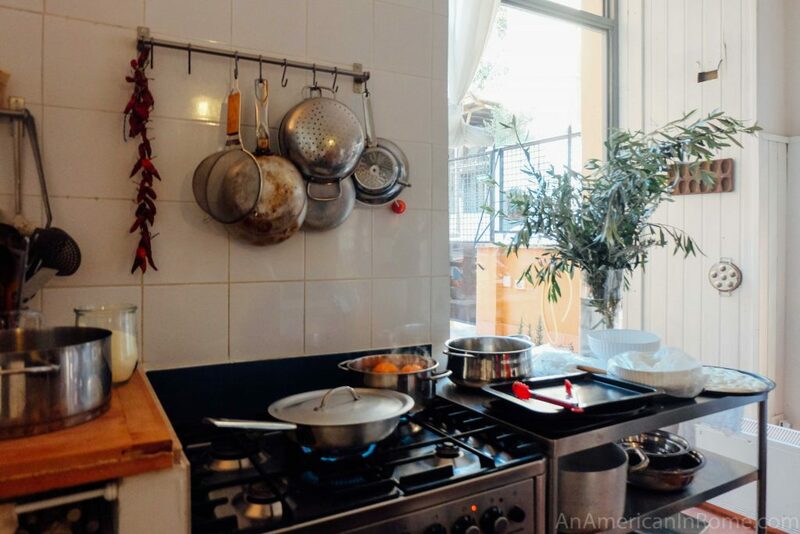 Latteria Studio also has other cooking courses. You can read more about my love of the Vietnamese cooking class, and find all the class announcements here. Headed to Italy in May with a four day stop in Rome. 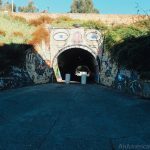 Love your blog and will incorporate many of your suggestions in our trip. So glad to hear that, Dave! I hope that you have a wonderful trip!